Please be aware that this is occurring in the State of Arkansas. 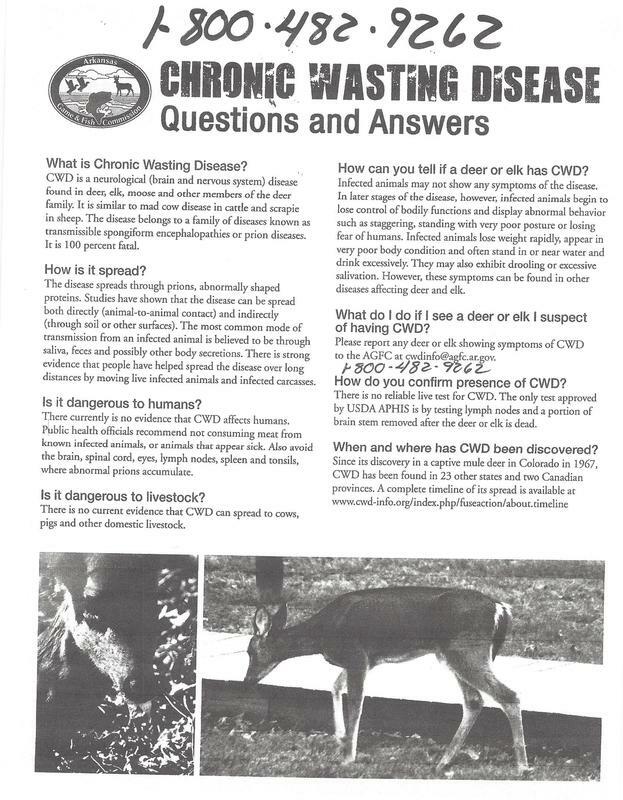 It has yet to be determined if it is occurring here in Lakeview, but observe the poster to see the descriptions of the disease and the contact number. When we have the Uban Deer Hunt in the Fall the deer will be examined prior to consumption. 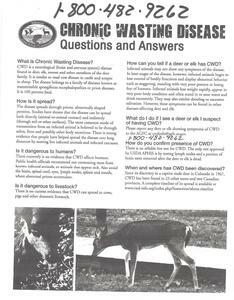 If you observe a deer on the roadside that has been hit by a vehicle, notify the commission at the number noted on the poster so that they can test it for the disease.